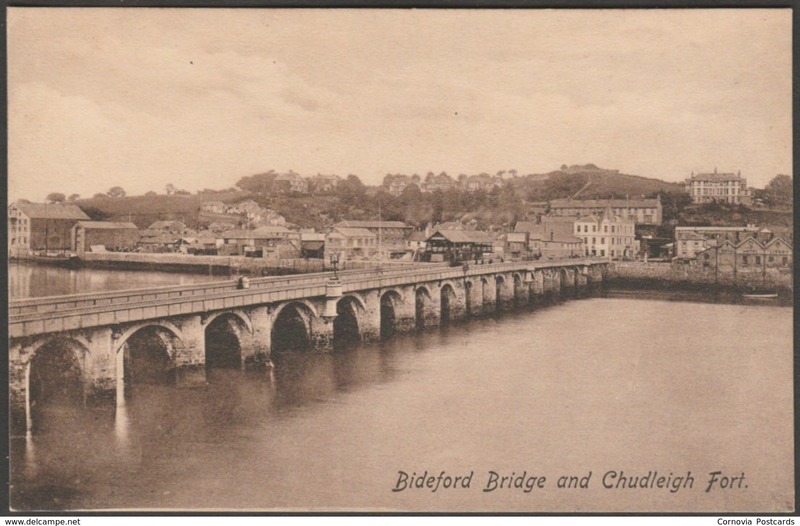 Printed sepia postcard showing a view of Bideford Bridge and with Chudleigh Fort in the distance. 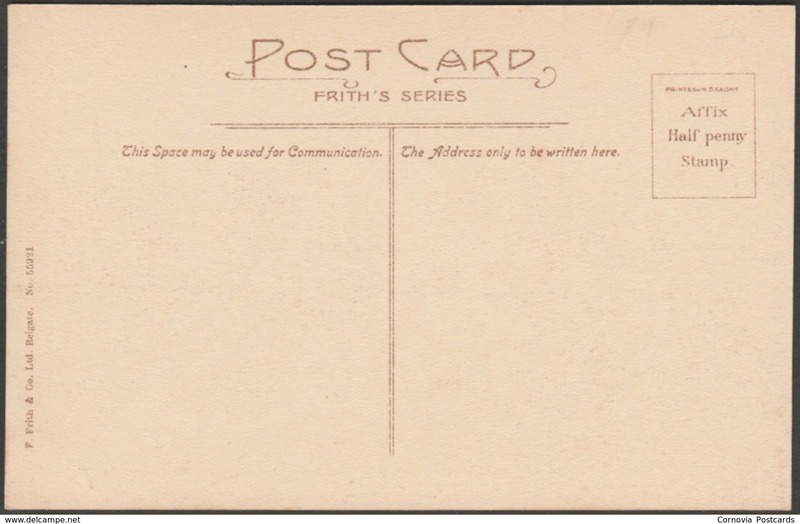 Published by F. Frith & Co Ltd, Reigate, Frith's Series, No 55921, photo registered in 1906, printed in Saxony, c.1910. Excellent condition, with minimal corner bumps.